Quickly Search and Map all Brevard County and Melbourne Foreclosures, Luxury Waterfront Homes, Townhouses, Condos, Short Sales, and Commercial properties for sale or lease. Our exclusive mapping system makes it easy to Search all available Brevard County properties by map, city, area, or the zip codes you want included. Profit from the best deals - save your search criteria to get immediate email notifications of new listings as soon as they become available. Quickly Search and Map all Melbourne Bank Owned Foreclosures (REOs) in Brevard County Florida MLS. Our exclusive mapping system makes it easy to locate all available Brevard County Foreclosures by map, city, area, or the zip codes you want to search. Beat the competition and profit from the best Melbourne real estate deals - save your search results and criteria to get immediate email notifications of new listings as soon as they become available, to jump on the best deals before others! Short Sale Negotiation Firm. Our professional negotiators will help you list and short sale your home to walk away and protect your credit. 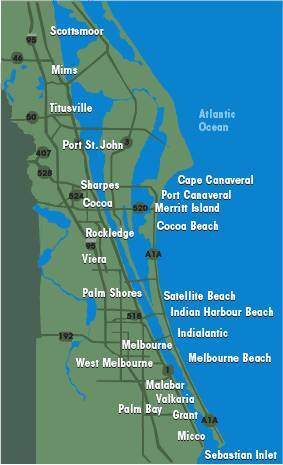 Search and Map all Short Sale listings in the Brevard County MLS. Our exclusive mapping system makes it easy to locate all available Brevard County Short Sales by map, city, area, or the zip code you want. Mortgage Calculators, amortization schedules, and detailed Budget and Refinance Calculators to see how much home you can comfortably afford, for various financing options. Qualify for a mortgage to get started with home ownership. We protect your credit score by shopping the mortgage for you from over 40 lenders competing for your business - You Win! The Best Mortgage Rates Guaranteed! Show us a better estimate, and we'll beat it! "How do I buy a Short Sale or a home in Foreclosure?" Start the home buying process HERE - Get all the information you need to quickly find your Brevard County Florida home at the lowest price. Request a FREE Melbourne Foreclosure List, Brevard County Foreclosures, or Short Sale List for your area. List and sell your property quickly AND for the highest price. Valuable information you need to know to get started NOW! Free Competitive Comparative Market Analysis (CMA) to answer the question "Home much is my home is worth? ", to see if now is the time to list and sell your home. Brevard County Florida Community Profiles, Homestead Exemption, Utilities, FL Drivers License, important local phone numbers, real estate & mortgage news and advice. Request FREE industry reports and Melbourne Foreclosure Lists and Melbourne Short Sale Lists for your area. View all our specially priced weekly Melbourne property deals! Everyone is looking for the best Melbourne property at the lowest price - these deals may go quickly, so time is of the essence! Don't wait, NOW is the best time to buy and finance a home while prices and rates are at all time lows! Whether you’re buying or selling Melbourne Real Estate for the first time or the fiftieth time, it’s natural to have questions about the latest Home Sale trends, or about the local economy and communities in and around Melbourne Florida. This website is designed to be your #1 Melbourne Homes for Sale Resource & provide you with everything you need to buy, sell, and finance Real Estate in and around the Melbourne Florida area. Melbourne Real Estate can be a little overwhelming. After all, the Melbourne Florida region is a highly attractive coastal area with many communities, amenities, attractions, and many people moving to Melbourne every day! Finding an experienced Melbourne Realtor® or Mortgage Broker that you can trust, and can provide you with thorough information and reliable service, can be stressful. Our goal is to help you through the real estate and/or mortgage process and make it all as stream lined and stress-free as possible. Melbourne FL Homes for Sale. The Melbourne Real Estate market began leveling off the summer of 2009 from the tough Florida economy. With incredible underpriced homes & low interest rates, this is the best time to buy a Melbourne home! You will find a large variety of Melbourne homes for sale on the market right now, with many going very quickly. Whether you are looking for a luxury home, gated community, or a townhouse, golf community, retirement community, luxury waterfront, riverfront, oceanfront, canal front or just a great home at a great price; now is the time to start searching. There are many Melbourne Homes for Sale on the market and the choice is yours. This is a buyer's market. Start searching Melbourne FL Homes for Sale search today! Use our FREE Melbourne MLS Search to search all Melbourne FL Homes, Vierra, Suntree, Rockledge, Palm Bay, Satellite Beach, Indian Harbour Beach, Melbourne Beach, Indialantic, Cocoa Beach, Cape and Port Canaveral, and surrounding areas. For more information on the Melbourne Real Estate market, please contact us, your Melbourne Realtors. REALTORS® have access to robust statistics packages and can provide detailed reports at the neighborhood level. Call us today!